- at the idyllic, sunny south coast! 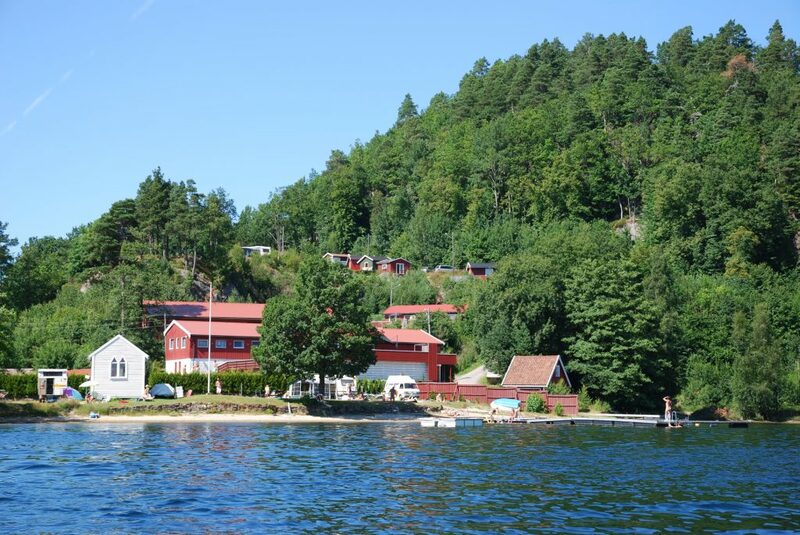 Isefjærleiren - Sørlandet Naturist Centre - is the perfect place for naturists from both Norway and abroad. Here you can enjoy the sun and warmth in beautiful surroundings, and take a dip in the fiord with the highest water temperature in the country (often 20 - 24 degrees C!). You may stay in your own camping unit, or you may rent a room or a cabin from us. The norwegian South Coast is full of exciting adventures and sightseeing possibilities, in particular during the summer. Isefjærleiren is conveniently located for getting to many of the things going on in the region. Velkommen til årets feiring av sesongstart lørdag 4. mai! Det blir laget litt ekstra festivitas denne lørdagen for å feire at naturistsesongen har startet. Møt opp!